There are only two Gates/entry ways [into heaven]. 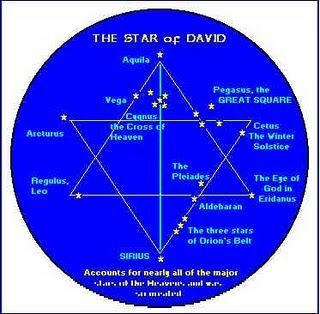 One being the intersection between Taurus and Gemini is known as the “silver gate” of heaven, [where Orion (Osiris/Ausar) is located]. 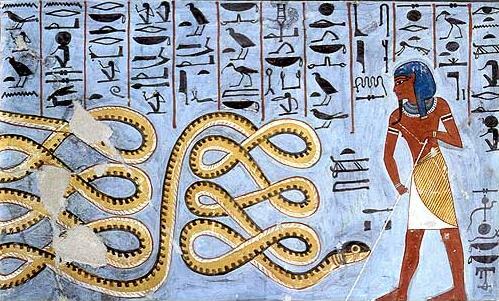 The intersection between Scorpio and Sagittarius, were Ophiuchus is located is known as the “Golden gate” of heaven. 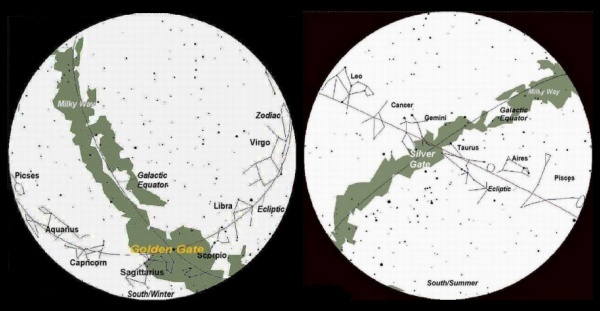 The galactic center lies visually from our solar system along a line that passes through the golden gate. FU Orionis resides near the imaginary shoulder of the great hunter constellation of Orion, at a location of about 3 degrees NW of Betelgeuse, and less than a degree east of the small planetary nebula NGC 2022. Although FU Ori can now be seen fluttering around 9th magnitude, its appearance hasn’t always been so brilliant. 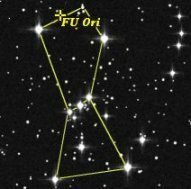 FU Ori’s rise to fame began in 1937 when the star appeared from relative obscurity at 16th magnitude and brightened by a factor of over 100 in 100-200 days. Accompanying the phantom star was a bright nebulosity, which glowed as a reflection of light from the luminous star. After increasing by 6 magnitudes in a period of a year, FU Ori continued to linger around maximum magnitude, where it has resided in a high state along with its ghostly nebula association ever since.